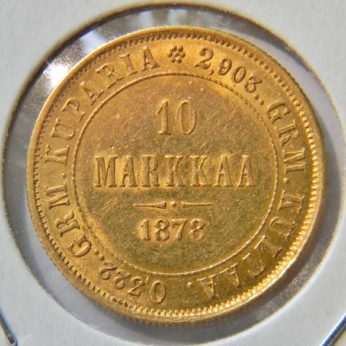 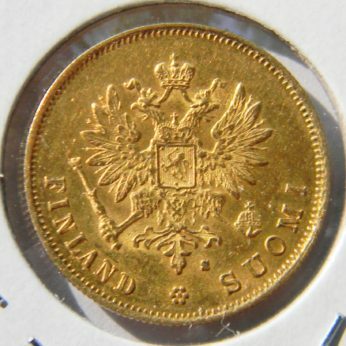 FINLAND-Russian Empire- scarce 1881-S gold 10 MARKKAA Almost Uncirculated; only 100K minted! 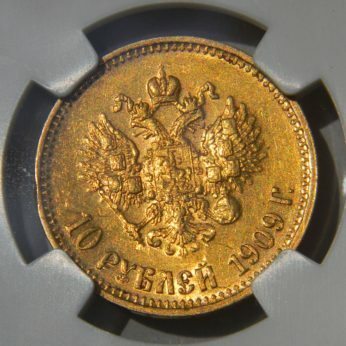 RUSSIA- 1909 SPB-EB gold 10 Roubles Rubles NGC-graded RARE YEAR! 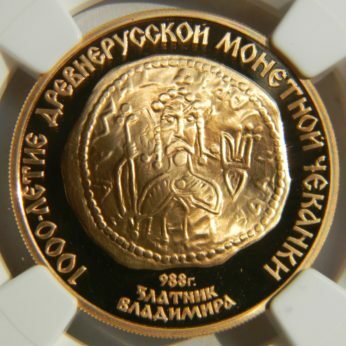 RUSSIA, USSR-scarce “Vladimir’s Zlatnik” 1988 commemorative gold 100 Roubles NGC PF69 Ultra Cameo!